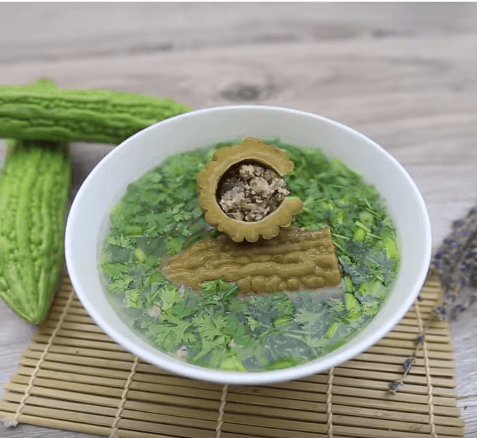 Today, the stuffed bitter melon soup becomes more popular in the summer. I had the bad experience with the Vietnamese stuffed bitter melon soup recipe. However, many people told me that it has a lot of essential nutrients and amazing benefits for health. Now, I start liking this dish and I realize that we may make the Lunar New Year less meaningful without the Vietnamese stuffed bitter melon soup recipe. So, I decide to make the stuffed melon soup recipe. The soup requires bitter melons, pork, wood ear mushroom, dried mung bean noodles, broth, etc, in the preparation. The finished-product is a milky broth with tender stuffed bitter melons. This does not take such many hours to cook. The key is to use a lot of onions. Make this flavorful stuffed bitter melon soup and beat the heat the Vietnamese way! 1. Soak bean threads and mushrooms in hot water until they turn soft. 2. Leave them about 10 minutes and then drain the mushrooms well. 3. 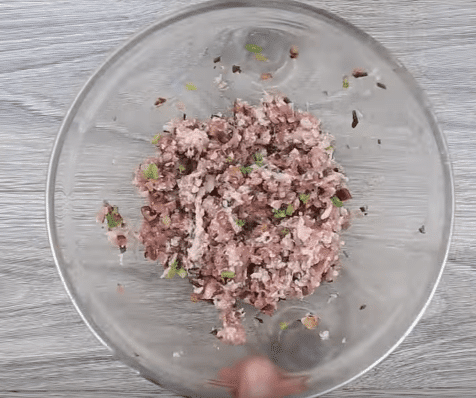 Mix ground pork with mushrooms and mung bean threads. 10. Let it simmer for 20-30 minutes until bitter melons turn fork-tender. 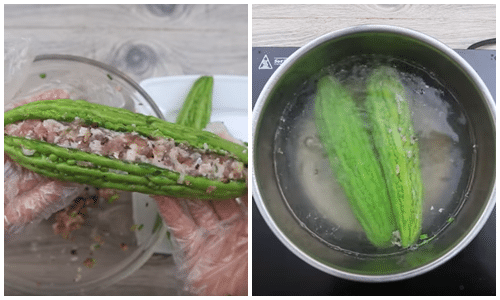 Because the water will slightly evaporate and the stuffed bitter melon may release seasoning to the broth, you should taste it before adding salt and sugar. Add more water if needed. 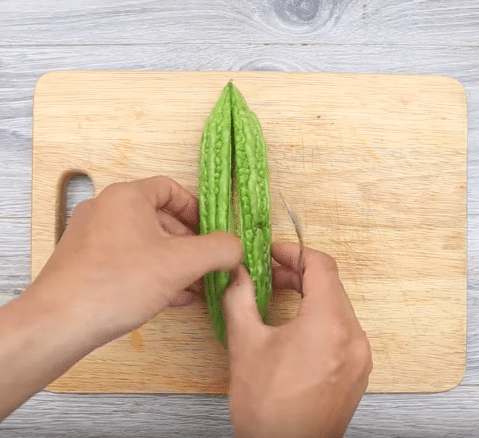 To taste it delicious, you should cut stuffed bitter melons into 1.5-2″ long pieces. Garnish with cilantro and green onion. 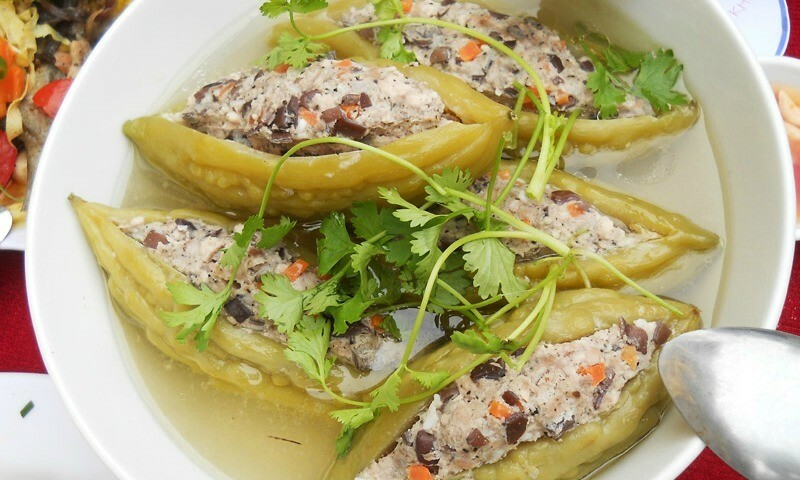 I have just introduced the flavorful Vietnamese stuffed bitter melon soup recipe and I hope that you can follow it easily at home. 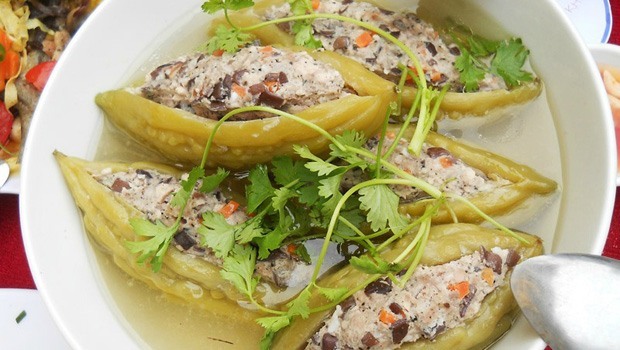 Any questions about this Vietnamese stuffed bitter melon soup recipe can be left in the comment section below the post. I will answer as soon as I can. Thank you for reading.